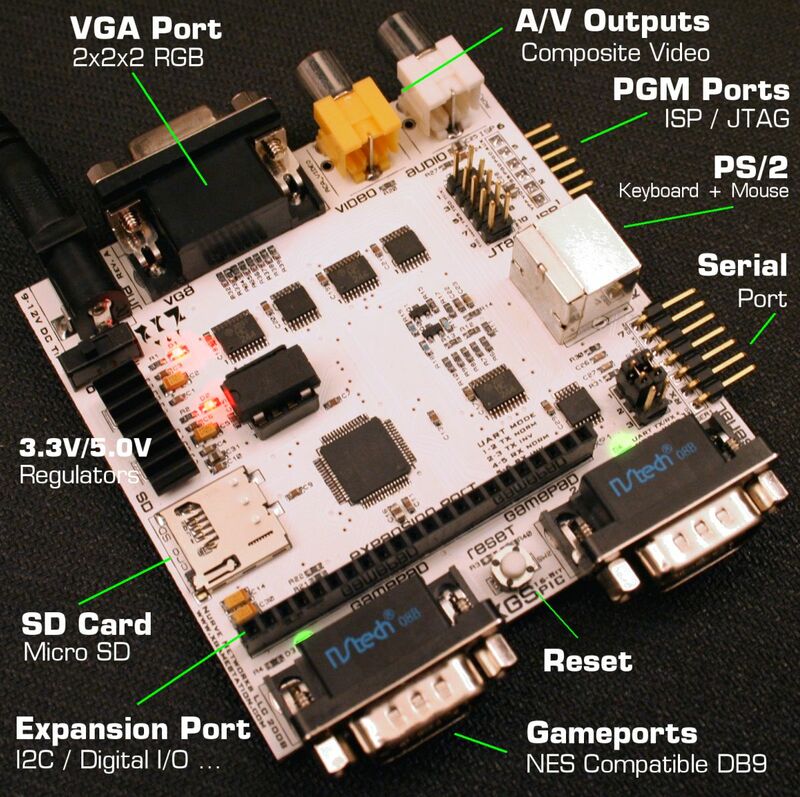 The core of the dev kit is the Microchip 16-Bit PIC24 (PIC24HJ256GP206) processor. This processor was chosen since its the top of the line in the Microchip 16-Bit PIC24 line as well as it features the best mix of memory and speed (256K FLASH, 16K SRAM, 40+ MIPS). The XGS PIC 16-Bit throttles the processor to the edge by overclocking to 40+ MHz to support high speed NTSC and VGA signal generation. You can always slow the processor down by using its internal clock and PLL setups. Of course the external oscillator is changeable as well. PAL fans will be happy to know that you can replace the external oscillator with a multiple of 4.43Mhz oscillator as well and create fully compliant PAL video drivers or spin the PLL to a multiple of PAL based on the NTSC oscillator the system comes with. 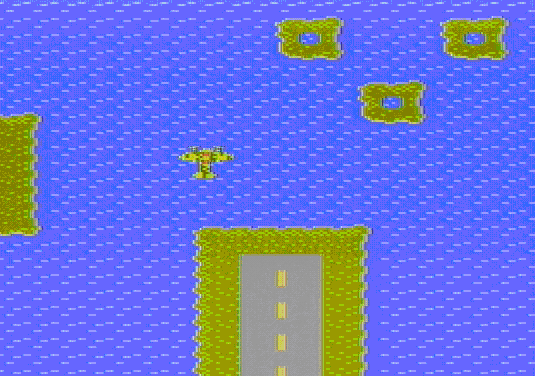 However, PAL fans can also use the VGA drivers until more support for PAL is developed. Microchip 16-Bit PIC24 processor with 256K FLASH / 16K SRAM running at over 40 MIPS! 500mA max power 3.3/5V dual supplies. 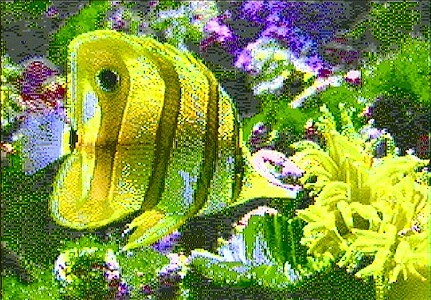 NTSC/PAL with color generation helper hardware (PAL support limited). Serial port for control and PC interfacing. 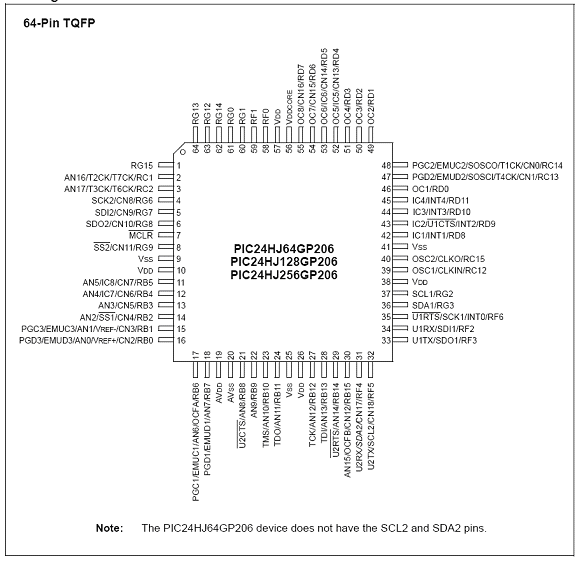 ISP and JTAG programming ports. 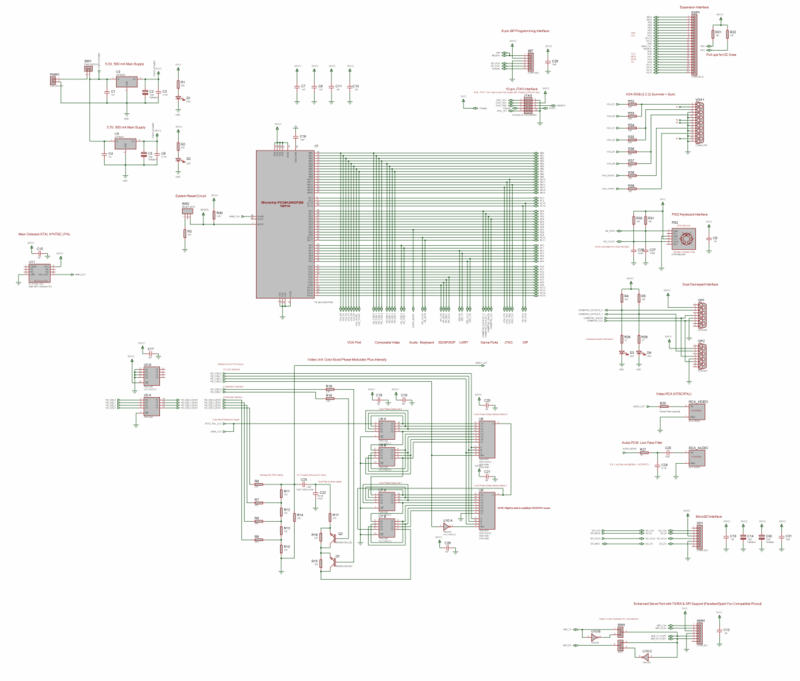 Expansion port header exporting numerous I/O, power, and signal lines for experimentation and mechatronic exploration. Exported SPI and I2C buses. Two game controller ports (Nintendo DB9 compatible). 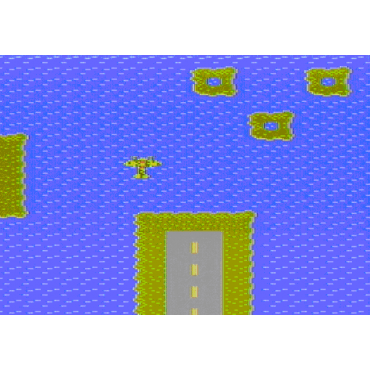 "Vertical Scrolling Tile Map Demo." User Manual Table of Contents (draft only) (.pdf). Sample Chapters from Book (.pdf). 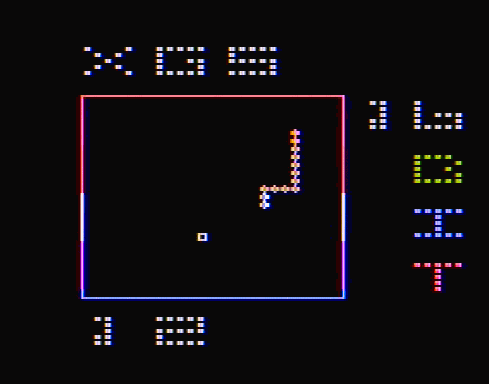 XGS BASIC 1.5 (AVR + PIC versions) (.zip). 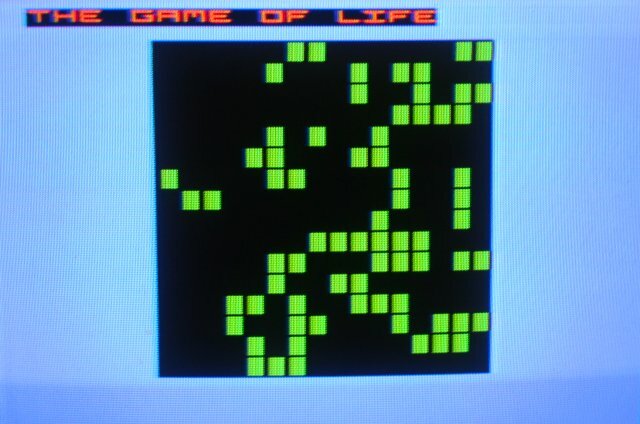 Nanode Tiny BASIC project blog (LINK). Latest Demo Coder Sources (.zip). 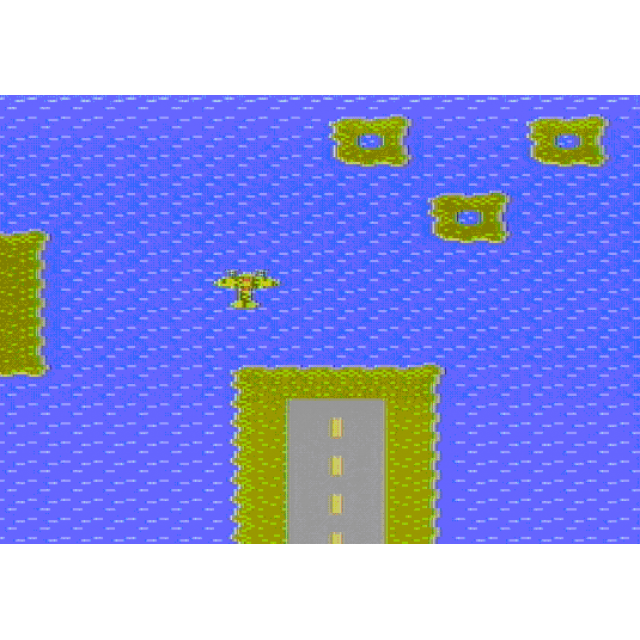 (VIDEO) Vertical Scrolling Tile Map Demo (HTTP). 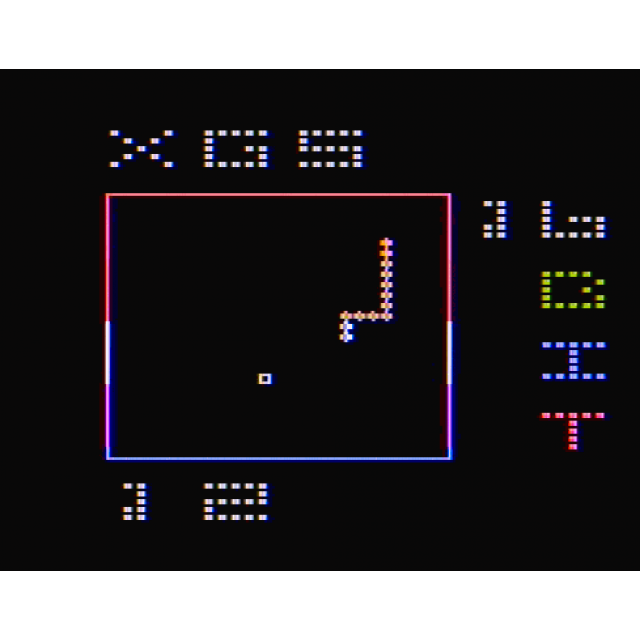 (VIDEO) Snake Game Demo (HTTP). 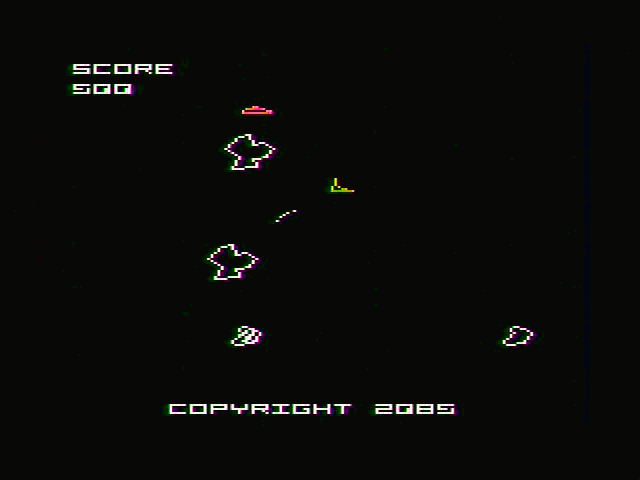 (VIDEO) Asteroids Game Demo (HTTP). 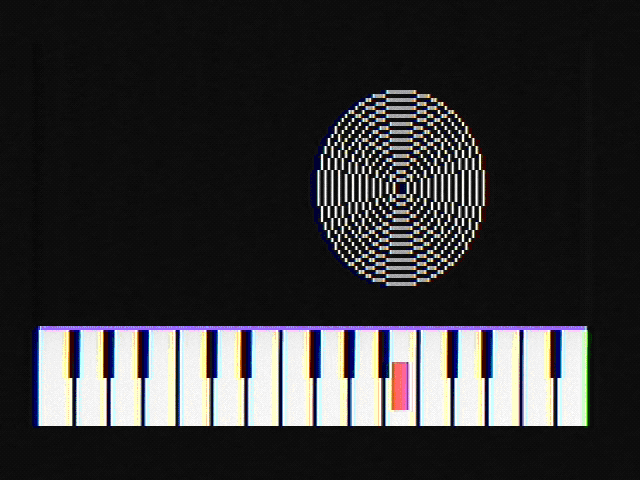 (VIDEO) Piano Sound Demo (HTTP). 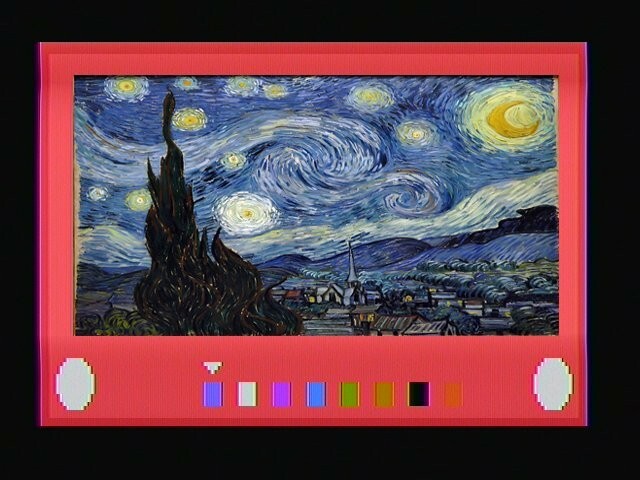 (VIDEO) SD Card viewer Demo (HTTP). 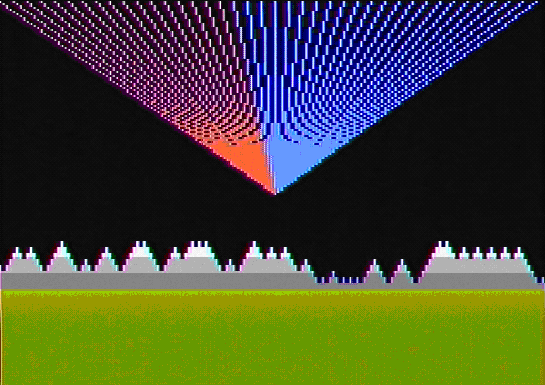 (VIDEO) Mountain Bitmapped Graphics Demo (HTTP). 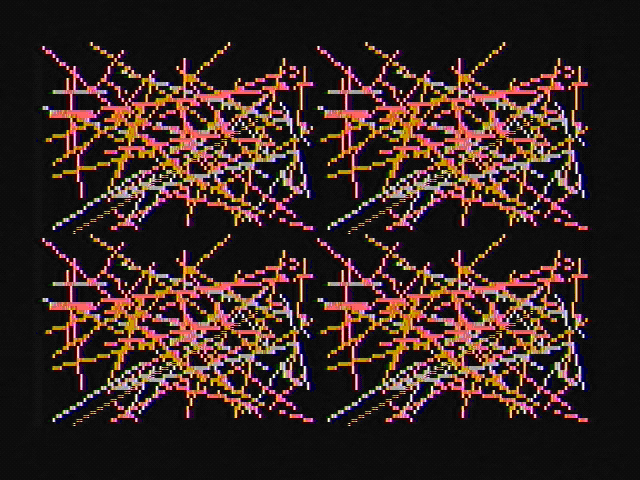 The XGS™​ PIC 16-Bit is the ultimate fusion of art and science (check out the videos at the end of page). 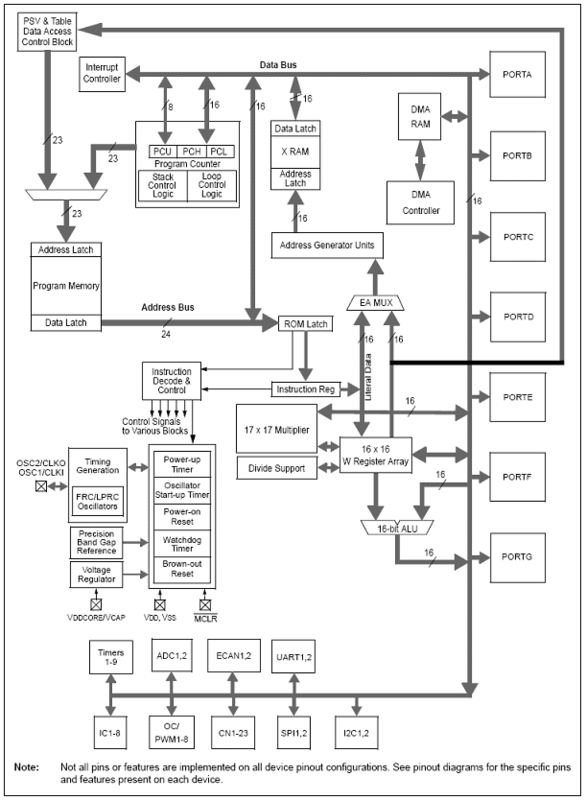 Developed to be a very competitive entry/midrange development kit for Microchip's new 16-Bit PIC24 processor with 256K FLASH, 16K SRAM, and running at over 40 MIPs. The kit was designed with the philosophy that you don't want to waste time trying to figure things out. This kit takes you step by step, saving you time, so you can learn quickly and have fun doing it! 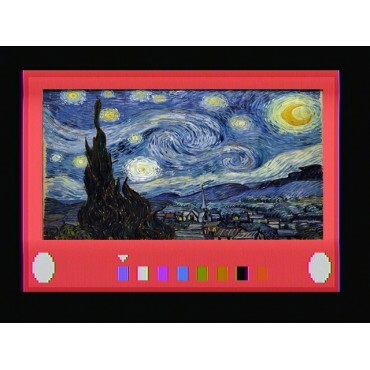 The XGS PIC 16-Bit Development Kit is based on Microchip''s new 16-Bit PIC24 series processor (PIC24HJ256GP206) and is a highly integrated development kit for exploring the PIC 16-Bit processors in a fun and engaging way! If you're interested in PIC processors and want to learn more or just want to learn about microcontrollers in general this is a great way to do it. Designed for students, engineers, and professionals, the XGS PIC 16-Bit uses graphics, games, and media applications to explore and learn about the very powerful new 16-Bit PIC processor (and in general the entire PIC line of processors from 8-32 bit in the process). The kit comes with everything you need to get up and running in moments, no additional purchases are necessary -- everything is "in the box". Also included in the kit is the printed book "Inside the XGS PIC 16-Bit" (Download Table of Contents below). This enormous user manual and programming guide takes you from opening the box, installing the tool chain, to developing applications yourself in no time! The book begins with discussions of the hardware of the XGS PIC 16-bit for those more technically minded, then the book traverses the many APIs and libraries we have developed for you to program the XGS PIC 16-Bit yourself. All libraries are written in easy to understand C/C++ with ASM drivers for heavy lifting like graphics and I/O. 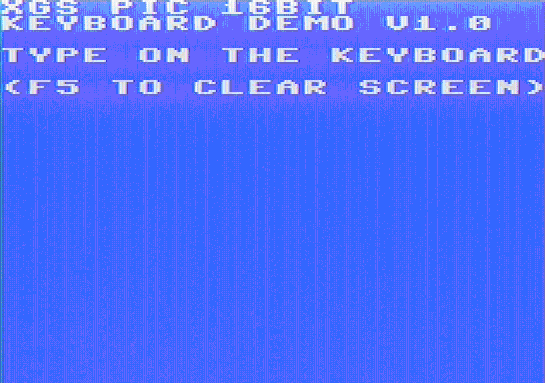 Fear not though, there are numerous examples and demos that show how to use the XGS PIC 16-Bit to its fullest potential included graphics, sound, games, keyboard, SD interface, serial communications and much more. 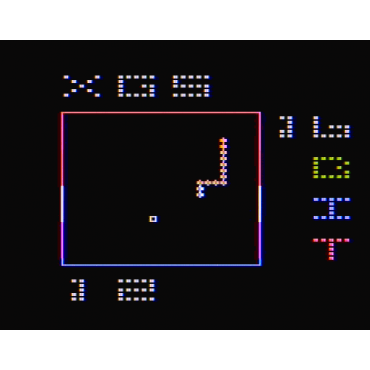 And if you want to make games with it, it's no secret that these XGS systems are designed with that in mind and the XGS PIC 16-Bit is no exception! It's the perfect development platform to create Super Nintendo quality 16-bit games that you can put together in a matter of hours to days with our APIs and examples. The XGS PIC 16-Bit takes homebrew game development to a whole other level with 40+ MIPS of 16-Bit processing power and full mathematics support! 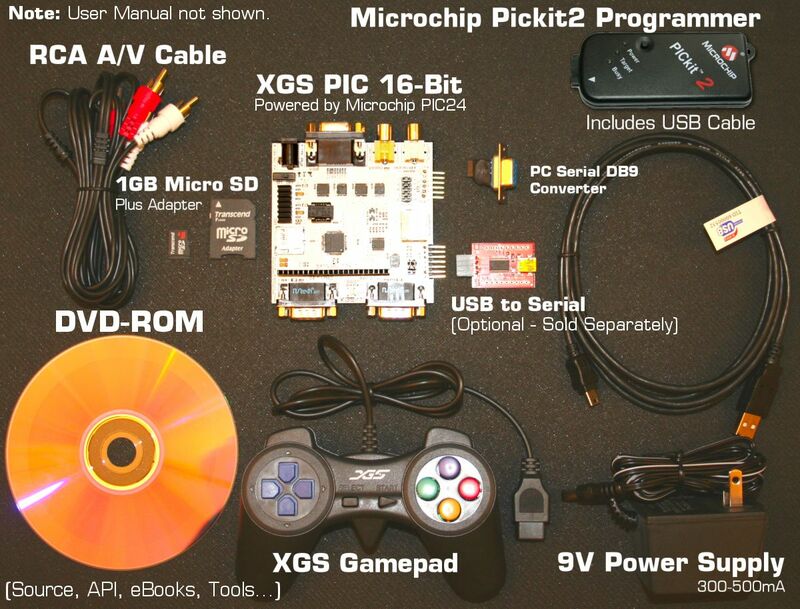 If you're looking for the ultimate PIC development kit then the XGS PIC 16-Bit is exactly what you're looking for. Much more complete and powerful than the Uzebox and many times more powerful than the Arduino! 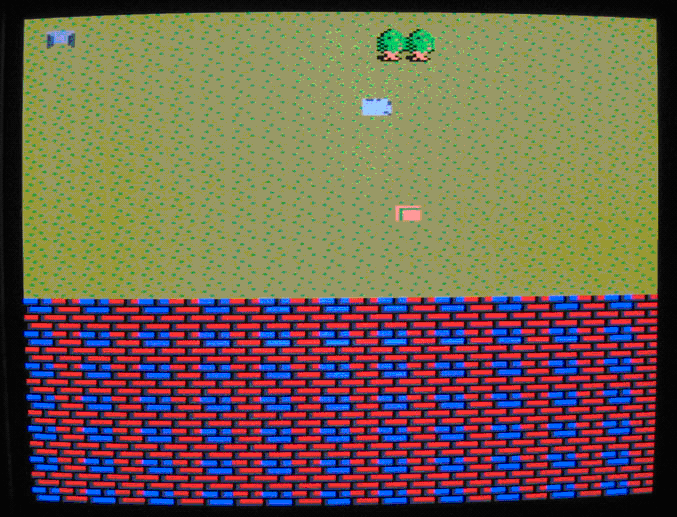 XGS PIC 16-Bit completely assembled. 350+ page printed manual covering hardware, software, and numerous programming tutorials (sample at end of page). Microchip Pickit 2 ISP programmer + USB cable. 9V USA compliant wall adapter power supply. DB9 PC serial port to XGS header converter. 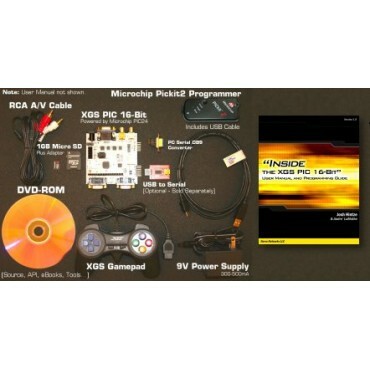 DVD-ROM with numerous examples and complete driver library lncluding; Graphics, Sound, Keyboard, SD card, Serial Comms, Mechatronics, and lots more.